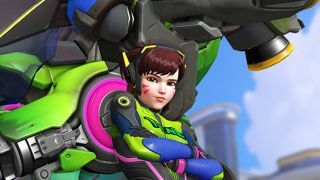 With the new Busan map having been unleashed on the public test realm for Overwatch, Blizzard has kicked off a new event that allows you to obtain some exclusive rewards for D.Va. D.Va’s Nano Cola Challenge runs until September 10, and securing wins in Quick Play, Competitive or Arcade will net you some neat perks. With three victories under your belt, you’ll get two new D.Va sprays, and doubling up to six wins will mean a D.Va player icon. If you want the big prize of the Nano Cola D.Va skin, then you’ll need to earn yourself a total of nine wins. You will, naturally, get all your normal earnings on top of these bonuses. Further D.Va sprays can be gleaned by watching selected streamers on Twitch, with every two hours of viewing earning you new sprays, with a total of eight hours getting you the full eight sprays. As to when and where to tune in on the Twitch front, check out Blizzard’s blog post which has the full details. In case you missed it a week ago, Blizzard revealed an animated short starring D.Va, alongside the initial revelation of Busan which is a fresh control map, broken down into three main locations: Sanctuary, Downtown, and MEKA Base. Busan should make its way from test to release in the next couple of weeks or so.